Ooh! It’s our favorite kind of characters on our favorite kind of bag! 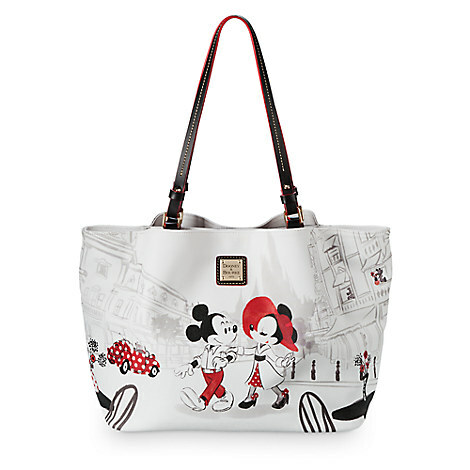 This Dooney and Bourke Mickey and Minnie Leather Tote hits all the right marks to make it our very favorite new thing! It’s big and buttery and Dooney-licious! Want to see some of our other favorite Disney Handbags? Check our Disney Handbags Gift Guide right here! Looking for some goods for Mom? We’ve got a Gift Guide for that, too! Check our our Favorite Gifts for Mom! This is so sweet! I really wish Disney would do some of these high fashion sketches on a dark background though. Minnie is always so chic.